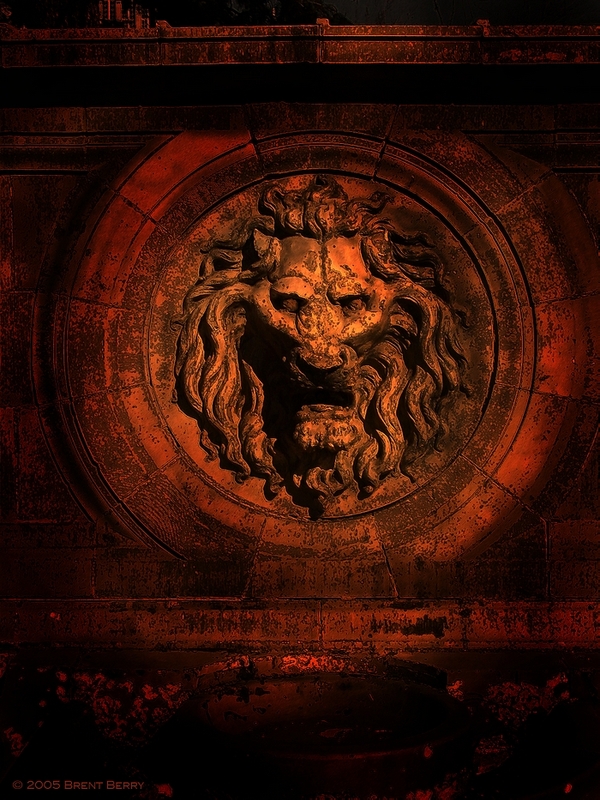 An enhanced photo of a stone Lion's head. It is on an old fountain near East high school in Denver. 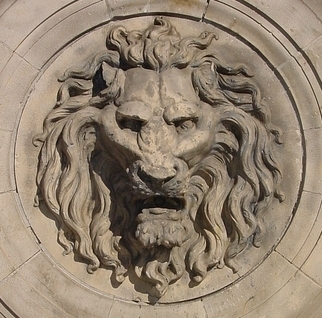 Part of the original photo of the Lion.